What is it about spectacular American business success stories like Facebook that brings out envy and resentment? Facebook has 2 billion monthly users. 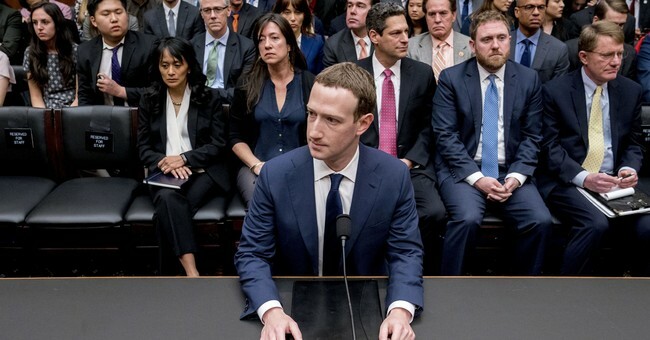 CEO Mark Zuckerberg is 33 and has a net worth north of $60 billion, making him the fifth richest person on Earth, according to Forbes last month. His company is also accused of allowing "misuse" of its users' personal data to help elect President Donald Trump. Never mind that the 2012 Obama campaign bragged about using Facebook in a similar way to win re-election. So, when it comes to Facebook and Zuckerberg, what's not to hate? Industrial pioneers and visionaries like John D. Rockefeller in oil and Andrew Carnegie in steel found themselves vilified in newspapers as "robber barons," a label popularized by a New York Times writer. Never mind that the price for kerosene continued to fall even as Rockefeller dominated the industry, just as the price of steel continued to fall despite Carnegie's alleged greed. IBM found itself under investigation by the Department of Justice in 1969 for antitrust violations. Those complaining about the company's alleged abuses were not consumers, but competitors. IBM management devoted so much time and resources to fighting the antitrust lawsuit until it was dropped 13 years later for being "without merit" that business suffered. One could argue that IBM never fully recovered. Microsoft became a target of antitrust regulators at the DOJ in 2001 for the company's alleged illegal "bundling." Then-CEO Bill Gates learned that without lobbying clout in Washington D.C., the regulators could come knocking. And they did. Now comes Facebook. Full disclosure: I do not have a personal Facebook page. I never understood why people willingly give out information on their personal lives, whether they are in a relationship, etc., on a billboard for anybody to see. Clearly, two billion Facebook users disagree with me. Perhaps what aggravates people is founder Zuckerberg's shifting statements about the use of collected personal data, and his blather about wanting Facebook to connect the whole world in order to "do good." Guess he thinks nobody saw the movie "The Social Network" and the vicious big-money lawsuit he was involved in over who founded Facebook. Zuckerberg is a businessman. "Depending on which Services you use, we collect different kinds of information from or about you. "Things you do and information you provide. We collect the content and other information you provide when you use our Services, including when you sign up for an account, create or share, and message or communicate with others. This can include information in or about the content you provide, such as the location of a photo or the date a file was created. We also collect information about how you use our Services, such as the types of content you view or engage with or the frequency and duration of your activities. "Things others do and information they provide. We also collect content and information that other people provide when they use our Services, including information about you, such as when they share a photo of you, send a message to you, or upload, sync or import your contact information. "Information from websites and apps that use our Services. We collect information when you visit or use third-party websites and apps that use our Services (like when they offer our Like button or Facebook Log In or use our measurement and advertising services). This includes information about the websites and apps you visit, your use of our Services on those websites and apps, as well as information the developer or publisher of the app or website provides to you or us." Facebook's business model is to collect personal data so that advertisers can precisely target prospective customers, an extremely lucrative enterprise. A 2013 book called "Unauthorized Access" put it this way: "The ability to create detailed psychographic profiles makes Facebook a potential targeted advertising gold mine. ... But Facebook doesn't need to -- or want to -- transfer to third parties any of its valuable data on its users. Instead, advertisers specify their desired targets to Facebook, and Facebook uses the profiles to match advertising to the specification."